Call 845-204-3075 to schedule your first appointment. Are you looking for a way to move past your hearing loss? A visit to our independently owned and operated Miracle-Ear® hearing aid center can be the first step in changing your life. We serve customers in Vails Gate, New Windsor, Pine Bush, Rock Tavern, Poughkeepsie, Putnam Valley, Salisbury Mills, and Newburgh, and we offer a variety of products. Because we want you to be able to make an informed decision that could significantly benefit your future, our hearing care specialists will welcome the opportunity to answer your questions. Among those products, you’ll encounter our highly advanced hearing aids with GENIUS™ Technology. These incorporate multiple cutting-edge innovations to give you an unrivaled listening experience. We also offer a 30 day, risk free trial* so you can try our product for yourself in real-world conditions. Our dedication to our customers is a main reason why we're America’s most recognized brand of hearing aids. When you first come to see us, we’ll furnish you with a free hearing test** to assess your current capabilities. Our experienced hearing care specialists will then assist you in finding the best match for your needs, and program your hearing aids to address your areas of weakness. You can receive all of these services at any one of our more than 1300 Miracle-Ear locations across the country. Our vast network illustrates just how many people have come to trust us, and we look forward to giving you the results you desire. If you're tired of constantly asking people to repeat themselves, there is a practical solution. Come visit Miracle-Ear if you're interested in acquiring hearing aids in Vails Gate, NY, and we'll be ready to serve you as you discover and experience the Miracle-Ear® advantage. As our hearing solution gives you enhanced confidence, you'll be fully integrated into the action going on around you. 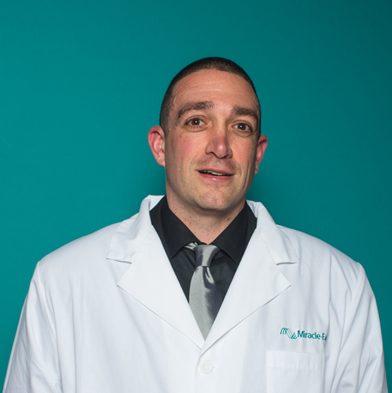 Jesse has five years of experience working with Miracle-Ear as a Hearing Aids Specialist. Jesse is New York State certified and has won customer service awards for the last two years running. Jesse's favorite part of working at Miracle-Ear is the teamwork at Miracle-Ear and helping his patients.